Stay Active at Any Age. SKU: COS38 Categories: Body Health, Bones & Joints Care Brands: Nn. ‘ here is no blood supply to joint cartilage. 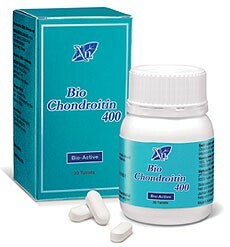 Chondroitin in synovial fluid serves as a conduit to deliver vital oxygen and nutrients to the cartilage. 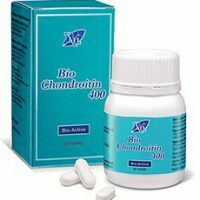 Loss of Chondroitin due to advancing age, injury or illness can cause a loss of this vital fluid. 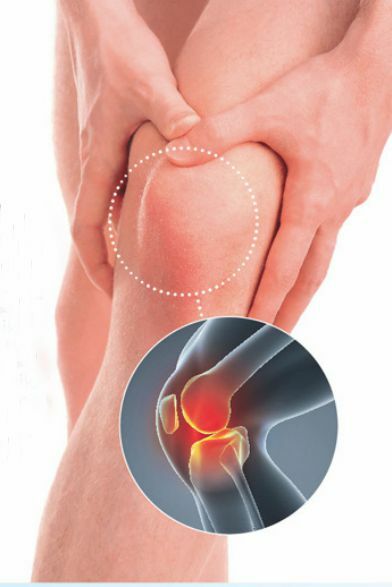 This disrupts the supply of oxygen and nutrients to the cartilage. Without proper nutrition, cartilage damaged by injury or normal wear and tear cannot regenerate or heal. Waste material starts to accumulate, causing more pain. 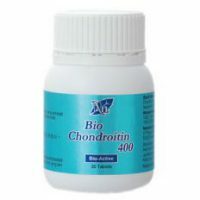 Each tablet provides 400mg of patented CS Bio-ActiveTM , the most researched brand of Chondroitin sulphate from the renowned joint expert, Bioiberica SA, Spain, who has dedicated over 30 years in the research and development of solutions to joint problems. Arrests joint inflammation by getting to the root of the problem - inhibiting the activity of COX-2. Take 1 tablet 2-3 times daily. Do not exceed the recommended dose unless advised by your doctor or other healthcare professionals.